It's funny how a haircut can make you think about life and how much you've achieved with it. A few days ago, feeling rather pleased after a quick trim, I asked the barber how much I owed her for the haircut. She hesitated, then asked me if I was usually charged pensioner rates. Surprised, not to mention slightly taken aback by the question, I said no, I'm 62. And with a great amount of pleasure, I paid full price, eagerly forcing the money into her hand while thinking to myself I'm not over the hill quite yet! But it was the first time in years anyone had not only questioned how old I was, but also whether I was above or below pension age. Tempus fugit - time flies. As I walked back home, mulling over some deep thoughts about the meaning of life, I passed the humble abode of Andrew Carnegie, just as I'd done dozens of times before. 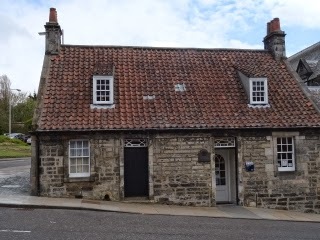 As I passed Andrew Carnegie's birthplace in Dunfermline, I did so with a huge amount of respect, if not awe. For here was a man who dragged himself up by the bootstraps to become, during his lifetime, the richest man in the world. His near $500 million fortune, most of which he gave away, would be worth in today's money somewhere in the region of $13 billion. Andrew Carnegie, photo courtesy of Forbes. Whilst my lifetime achievements may be commendable, or perhaps not, as the case may be, of one thing I am certain, they'll likely not be remembered or figure anywhere within the grand sweep of history. Not so with Andrew Carnegie. Now, I'm not going to spout facts and figures about Andrew Carnegie's rise, from the son of impoverished weavers, who emigrated to America, to steel-industry giant of the 19th century. Instead, check out the brilliant article by Chloe Sorvino in Forbes; or the excellent piece on the History website. Both are highly commended, giving interesting perspectives into the life and times of Dunfermline's greatest son. All I'll say is this. From an early age, Andrew Carnegie worked hard, certainly harder than anyone around him. He was highly intelligent and no matter the job always sought ways to improve it. For example, while working in Pittsburgh as a messenger boy in the telegraph office, he memorised not only the street layout but also, usefully, the names and addresses of the city's most important people. 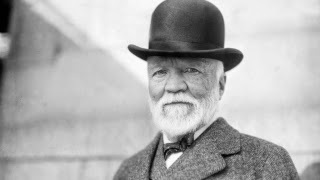 But more than any of that, Andrew Carnegie had one other important attribute - the ability to spot and take advantage of any opportunity which came his way. That, along with an uncanny grasp of the 'big picture', meant he was always destined to rise far above his lowly beginnings. 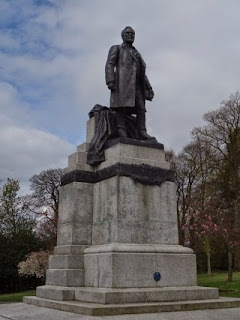 So if you've ever wondered what it's possible to do in just a single lifetime, think no further than Andrew Carnegie.